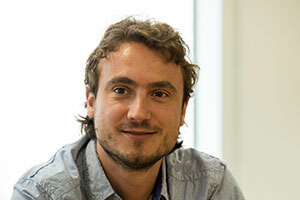 Jonathan holds a MSc in Computer Science from the Rovira i Virgili University, Spain. He moved to London and joined Altmetric at the same time as Ana, in February 2015. Besides being a Libre Software and Ruby evangelist, he’s also a enthusiastic Android developer, Basketball player and a die hard gamer. I’m responsible for the architecture and technology we use to integrate our client’s data into our products, like the Explorer, and the software we use to discover the thousands of mentions of research that are made online each day. In an average day I play video games and count the number of times my 2-year old daughter says “No!”. But during work: I review and write some code, do some testing and engage on Slack. I also work with my team to deploy something new nearly every day such as a bug fix, a feature or a new integration. The best part of my job is that there’re infinite challenges. Seriously, there are so many things to do and opportunities to learn from each day and there’s a smart, diverse and friendly team working alongside me. The most interesting thing I’ve learned since starting at Altmetric is that diverse teams may perform better according to metrics and studies, but there’s also so much fun to be had! The thing I’m most looking forward to next is to deliver the big projects we’ve been working on and start on the ones that are pending!